Tucked away in its own private canyon encircled by public lands several miles from the nearest neighbor, Lost Peaks Ranch is a true end-of-the-road hideaway. Whether one’s chosen pursuit is big game hunting, wingshooting, fishing, hiking, trail riding, working and moving cattle on horseback, or just sitting back and enjoying the panoramic views of the Lost River Valley, Lost Peaks represents the chance to put aside the rigors of one’s daily life and enjoy the natural wonders of this remarkable western landscape. Although the ranch feels a world away, it is within a reasonable distance to Mackay for basic provisions or Ketchum/Sun Valley for a variety of entertainment, restaurants and retail options. This rare “inholding” ranch is surrounded by public lands 35 miles northeast of Sun Valley over Trail Creek Pass. Consisting of 731± deeded acres, the property sits at the base of 10,000-foot Jerry Peak adjacent to the recently designated Jim McClure-Jerry Peak Wilderness Area and offers panoramic views of the upper Lost River Valley and the massive Lost River Range, which encompasses the state’s highest peaks. The ranch is completely private and provides direct access to some of the best big game hunting in the state. Given its size, the ranch qualifies for tags through the state’s Landowner Appreciation Program to hunt deer, elk and antelope in the area. Top notch fishing for rainbow and cutthroat trout is only minutes away on the Big Lost River and its tributaries, while good chukar populations ensure steady action in the foothills surrounding the ranch. Improvements include a 2-bedroom log hunting cabin with phone and power, metal barn, corrals, and 2 log bunkhouses. Irrigated pasture and an adjacent 114-head BLM summer grazing permit support a seasonal livestock operation. 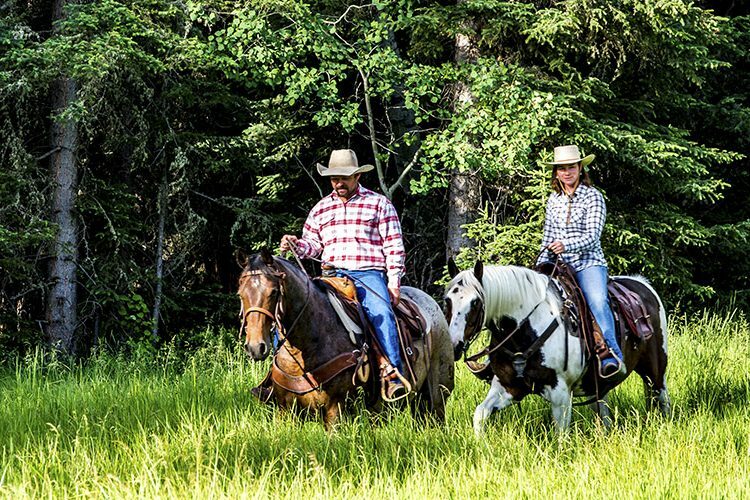 Lost Peaks Ranch is a secluded recreational ranch that offers complete privacy in a “big sky” mountain setting. The ranch is an “inholding” surrounded by federal lands managed by the Bureau of Land Management (BLM) and state lands managed by the Idaho Department of Lands. The property lies at the base of 10,000-foot Jerry Peak and offers direct access to the recently designated Jim McClure-Jerry Peak Wilderness Area encompassing 117,000 acres of BLM and national forest lands due west of the ranch. The county road ends at the ranch gate, and there is no public access through the property. A jeep trail, which is controlled by the ranch, extends from the property onto BLM lands and traverses west up Howell Canyon to Howell Spring, an excellent jumping-off point to explore Jerry Peak and the highlands surrounding the ranch. Comprised of two parcels that adjoin at a section corner, the ranch is two and a half miles in length from east to west and one mile wide from north to south. The granite peaks of the Lost River Range lie due east across the valley and provide a breathtaking backdrop that must be seen to be believed. Improvements are located in the center of the property at the mouth of Howell Canyon and overlook the ranch’s irrigated pastures that comprise the eastern end of the ranch. Buildings are older but functional and include a cozy two-bedroom/one-bath log hunting cabin with kitchen, living room, and wood-burning stove, two log bunkhouses, a metal barn/storage building with concrete floor, and log corrals. The ranch enjoys both electrical and telephone service. Satellite service is also available for this area from multiple providers. A spring located west of the buildings provides domestic water to the cabin and stock water to the corrals. Lost Peaks Ranch is located in the upper Lost River Valley approximately 35 miles northeast of the resort community of Ketchum/Sun Valley and 25 miles northwest of the ranching community of Mackay. Access from Sun Valley is a 50-minute drive via Trail Creek Pass from approximately May through November. As mountain snowfall begins to accumulate late in the year, Trail Creek Pass closes until spring and access involves driving through Mackay via US Highway 93 to Trail Creek Road.Friedman Memorial Airport (SUN) in Hailey, 15 miles south of Ketchum/Sun Valley, is the nearest commercial airport and offers regular air service on Delta/Skywest (Delta) and Horizon (Alaska) Airlines. Friedman is also home to a fixed base operation, Atlantic Aviation, which provides a full range of general aviation services. 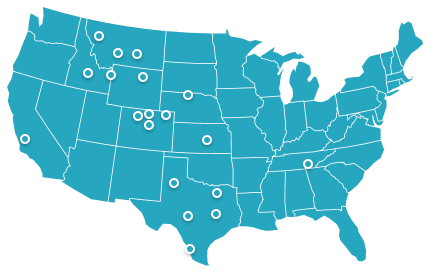 Idaho Falls, approximately two hours southeast of the ranch, provides alternate commercial air service from Idaho Falls Regional Airport (IDA) on Skywest and United. Mackay is home to a 4,400’ x 60’ asphalt airstrip capable of accommodating larger twin-engine aircraft. The massive Lost River Range flanks the east side of the valley and spans over 70 miles from Arco to Challis. The Lost Rivers claim seven of Idaho’s ten peaks over 12,000 feet, including Mt. Borah, the state’s highest peak at 12,662 feet, which frames the view eastward from the ranch. Two other formidable mountain ranges, the Pioneers and Whiteknobs, extend west from the valley all the way to Ketchum/Sun Valley offering incredible vistas and miles of roadless backcountry to explore.The Big Lost River originates from high mountain tributaries and meanders east and then south through the valley, providing irrigation water for farms and ranches as well as outstanding trout fishing opportunities. Sun Valley, Ketchum and the other Wood River Valley communities of Hailey and Bellevue are an easy drive from the property and offer a multiplicity of summer and winter activities, including golf, hiking, fly fishing, cycling, and world-class downhill and Nordic skiing. One will also find there numerous gourmet restaurants, art galleries, shopping opportunities, and cultural events to enjoy.Mackay, population 565, lies at the heart of the Lost River Valley and serves as the local service and social center. It is an agriculturally based community, although its roots go back to the mining days in the early 20th century. All general amenities can be found in Mackay, including groceries, fuel, restaurants, and ranch and hardware providers. The elevation of the ranch improvements is approximately 6,950 feet. The climate for the upper Lost River Valley is best described as semi-arid with annual precipitation of approximately 10 inches and over 300 sunny days per year. Summer temperatures at this altitude are close to ideal with highs reaching the 80s and then cooling to the mid-40s at night. Winters can be cold, although the series of mountains to the west often create a moisture barrier, resulting in relatively open winters with little snow pack on the valley floor. The ranch holds three licensed irrigation rights to irrigate a total of 213 acres between May 1 and October 15. The total diversion rate associated with these rights is 8.0 cubic feet per second. The ranch also holds a domestic right and three stock water rights. Annual property taxes are approximately $1,127. Rivaling its better known neighbor to the west, Sun Valley, the upper Lost River Valley offers stunning scenery and a variety of high quality outdoor recreation opportunities. 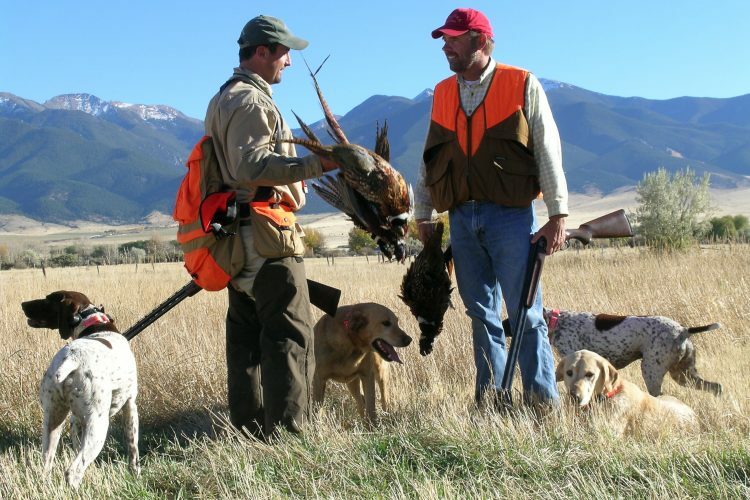 Trout fishing, wingshooting, big game hunting, horseback riding, mountain bike riding, backcountry skiing, hiking, and wildlife viewing can all be outstanding and enjoyed either on or a short distance away from Lost Peaks Ranch. An array of wildlife utilizes the ranch and the surrounding mountains, ridgelines, foothills, and grasslands throughout the year. Elk are plentiful, and many experienced Idaho hunters refer to Jerry Peak as the best elk hunting in the state. Mule deer and antelope are also prominent game species in the area. Because of its size, the ranch qualifies for the state’s Landowner Appreciation Program to hunt deer, elk, and antelope in the area. Coveys of chukar partridge reside on nearby hillsides and rock outcroppings, while blue grouse are common on higher elevation US Forest Service lands. Ducks and geese take advantage of numerous springs in the area, including the Thousand Springs/Chilly Slough wetlands complex that lies several miles east of the ranch. This area is also home to numerous non-game species, including a variety of hawks, falcons and other raptors as well as wild horses that roam the surrounding Challis Wild Horse Range. Only minutes away from the ranch is the Big Lost River, a mid-sized freestone stream that originates high in the Pioneer and Boulder Mountains and runs the length of the Lost River Valley before disappearing into the lava flows southeast of Arco. Long known to locals for its outstanding fishing, the “Lost” has become a destination for anglers from across the region and is frequented on a daily basis by Sun Valley fishing guides. Quality reaches of the Big Lost are located a quick drive from the ranch, and public access is available throughout the upper river on BLM and US Forest Service lands. The lower river below Mackay Reservoir is renowned as a top quality tailwater fishery with a reputation for producing big rainbows. It is also one of central Idaho’s best winter fishing locations. In addition to stream fishing on the Big Lost and its tributaries, the area offers over 100 alpine lakes, many of which provide excellent trout fishing opportunities. Most of these mountain lakes are found at elevations between 9,000 and 10,500 feet and offer exceptional views, wildlife viewing, and hiking opportunities. Only 35 miles southwest of the ranch, Ketchum/Sun Valley offers a variety of world-class, year-round outdoor recreation pursuits. Winter activities include downhill skiing on famous Bald Mountain and cross-country skiing, snowshoeing, and snowmobiling on the area’s extensive winter trail network. During the summer and fall, the area’s diverse topography offers unparalleled trout fishing, upland and big game hunting, hiking, cycling, and backpacking. 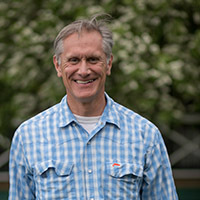 The owners manage Lost Peaks Ranch for hunting and other recreational pursuits as well as for summer livestock grazing. The ranch holds a BLM grazing permit to run 114 cattle on the Sage Creek Allotment (estimated to cover 6,000 acres) from May 16 until September 30 of each year for a total of 517 animal unit months (AUMs). The ranch also holds a grazing lease with the State of Idaho to run cattle on 640 acres of state land that adjoin the ranch. Under an exchange of use agreement between the State and BLM, these state lands are incorporated into and operated as part of BLM’s Sage Creek Allotment, providing an additional 63 AUMs and enabling the grazing permittee to run an additional 14 head of cattle for a total number of 128. 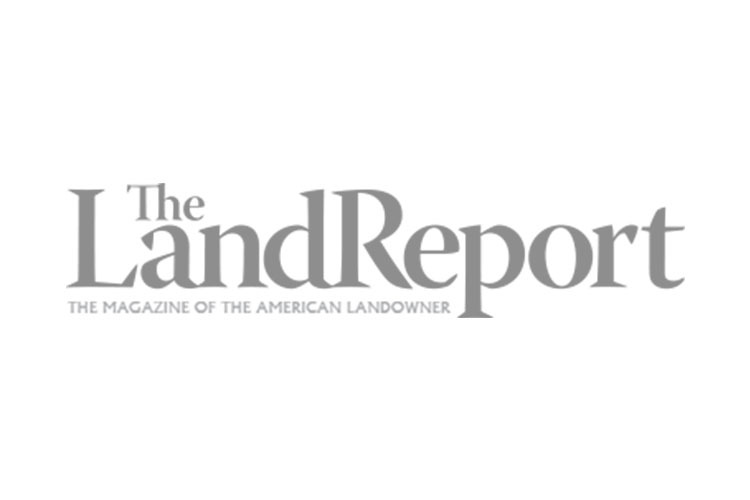 A neighboring rancher utilizes the grazing permit and state grazing lease in conjunction with his year-round cattle operation by leasing a base portion of Lost Peaks Ranch. The owners lease the irrigated pastures to a separate individual to run horses and a small number of cattle for the season.